In late January 1861 Greeley himself went on a speaking trip to the Midwest, during which he visited President-elect Lincoln in Illinois. Meanwhile, Republicans in Albany were getting ready to make selection of a replacement to Senator William H. Seward. 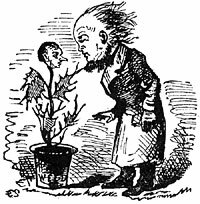 Thurlow “Weed’s candidate was William M. Evarts, forty-three years old then, who had not held any public office, a great lawyer, a great wit,” wrote historian Donald Barr Chidsey. “The leaders at Albany, Greeley was complaining were glad to have him do a lot of work but they never were willing to give him a job he really desired. And he was determined to be senator, Weed or no Weed.”27 Both the Weed and anti-Weed wings of the party sought to invoke Mr. Lincoln’s support. Greeley had an unfortunate tendency to meddle — and muddle — in affairs far from the field of journalism. One such field was international relations. “Before the year  ended, Greeley had so far lost faith in the ability of Lincoln to weather the crisis and guide the ship of state safely into port, that for the first time his mind turned toward peace. Failure in the fall elections, repudiation of the Emancipation Proclamation by a considerable portion of the Northern people, growing disaffection in the Northwest accentuated by the [Clement] Vallandigham movement, and repeated military reverses, so undermined his morale that he decided upon peace through foreign mediation, and according to Raymond, determined to ‘drive Lincoln into it. '”59 Seward biographer Glyndon Van Deusen wrote: “Greeley now entered the picture. The unpredictable editor was in one of his defeatist moods and suggested in the Tribune mediation by the Swiss Republic. Then he came down to Washington, told Mercier that this was a feeler to prepare the public for the idea of foreign intervention, and declared that he really looked to France and the good offices of Louis Napoleon. 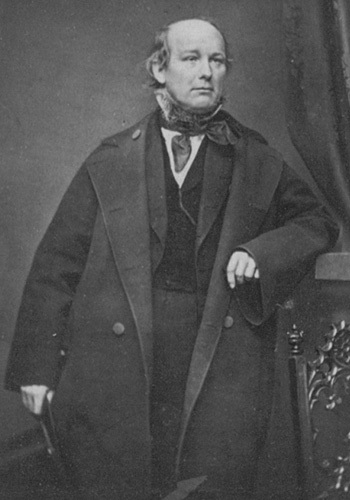 Mercier promptly became keen for joint Anglo-French action, but Lyons dampened his ardor and Seward said that any mediatory scheme was simply impossible. Privately, the Secretary of State heaped scorn on Greeley, asserting that his actions made him liable to legal penalties.”60 Under the Logan Act, American citizens were prohibited from engaging in unofficial communications with representatives of foreign governments. Greeley played many sides of the presidential politics. 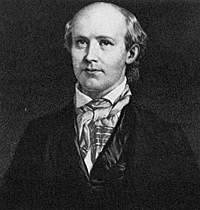 Treasury Secretary Salmon P. Chase had recorded in his diary in early October 1863: “Camp called with letter from Greeley,—proposed plan for collecting public sentiment in my favor as candidate for Prest.—told him that people must do as they pleased in this matter—I would not interfere.”67 But Chase’s boomlet collapsed in February 1864 before the race began — leaving Greeley without a candidate. “Greeley’s defeat in his efforts to prevent Lincoln’s renomination did not make him any more modest in playing the part of adviser to the administration,” wrote biographer William Alexander Linn.74 But as usual, Greeley was not consistent. It was Greeley who drew President Lincoln into some pseudo peace negotiations in the weeks after his June 1964 renomination. It was Greeley who contacted Mr. Lincoln in July with news that two individuals claiming to be representatives of the Confederate government, were in Niagara falls and ready to negotiate for a cessation of hostilities. I venture to inclose you a letter and telegraphic dispatch that I received yesterday from our irrepressible friend, Colorado Jewett, at Niagara Falls. I think they deserve attention. Of course, I do not indorse Jewett’s positive avertment that his friends…have ‘full powers’ from J.D., though I do not doubt that he thinks they have. I let that statement stand as simply evidencing the anxiety of the Confederates everywhere for peace. So much is beyond the doubt. I entreat you, in your own time and manner, to submit overtures for pacification to the Southern insurgents which the impartial must pronounce frank and generous. If only with a view to the momentous Election soon to occur in North Carolina, and of the Draft to be enforced in the Free States, this should be done at once. Mr. President, I fear you do not realize how intently the people desire any peace consistent with the national integrity and honor…With United States stocks worth but forty cents in gold per dollar, and drafting about to commence on the third million of Union soldiers, can this be wondered at? President Lincoln could not afford to alienate Greeley or to appear to reject a genuine peace overture. So Mr. Lincoln used Greeley to play Greeley’s own game — so if and when the game collapsed, it would be Greeley, not Mr. Lincoln who would be the loser. 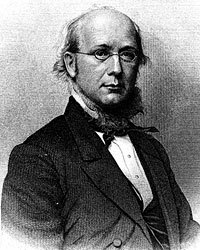 Greeley biographer William Alexander Linn wrote: “Lincoln’s patience and kindly treatment of Greeley throughout this episode are admirably set forth in the Nicolay-Hay biography. Realizing the futility of the negotiations, as well as Greeley’s honesty of purpose, Lincoln decided to make use of his offer in order to show the country what such negotiations would amount to.”81 Greeley wrote President Lincoln on July 10, 1864. I have yours of yesterday. Whether there be persons at Niagara (or elsewhere) who are empowered to commit the rebels by negotiation, is a question; but if there be such, there is no question at all that they would decline to exhibit their credentials to me, much more to open their budget and give their best terms. Green as I may be, I am not quite so verdant as to imagine, anything of the sort. I have neither purpose nor desire to be made a confidant, far less an agent, in such negotiations. But I do deeply realize that the rebel chiefs achieved, a most decided advantage in proposing or pretending to propose to have [Confederate Vice President] A[lexander]. H. Stephens visit Washington as a peacemaker, and being rudely repulsed; and I am anxious that the ground lost to the national cause by that mistake shall somehow be regained in season for effect on the approaching North Carolina election. I will see if I can get a look into the hand of whomsoever may be at Niagara; though that is a project so manifestly hopeless that I have little heart for it, still I shall try. Over the next several days, Greeley attempted to negotiate for negotiations. His strategy was revealed in a letter which Greeley wrote President Lincoln on July 13: “I have now information on which I can rely that two persons duly commissioned and empowered to negotiate for peace are at this moment not far from Niagara Falls, in Canada, and are desirous of conforming with yourself, or with such persons as you may appoint and empower to treat with them. Their names (only given in confidence) are Hon. Clement C. Clay, of Alabama, and Hon. Jacob Thompson, of Mississippi. If you should prefer to meet them in person, they require safe-conducts for themselves, and for George N. Sanders, who will accompany them. Should you choose to empower one or more persons to treat with them in Canada, they will of course need no safe-conduct; but they cannot be expected to exhibit credentials save to commissioners empowered as they are. In negotiating directly with yourself, all grounds of cavil would be avoided, and you would be enabled at all times to act upon the freshest advices of the military situation. You will of course understand I know nothing, and have proposed nothing as to terms, and that nothing is conceded or taken for granted by the meeting of persons empowered to negotiate for peace. All that is assumed is a mutual desire to terminate this wholesale slaughter, if a basis of adjustment can be mutually agreed on, and it seems to me high time that an effort to this end should be made. I am of course quite other than sanguine that a peace can now be made, but I am quite sure that a frank, earnest, anxious effort to terminate the war on honorable terms would immensely strengthen the Government in case of its failure, and would help us in the eyes of the civilized world, which now accuses us of obstinacy, and indisposition even to seek a peaceful solution of our sanguinary, devastating conflict. Hoping to hear that you have resolved to act in the premises, and to act so promptly that a good influence may even yet be exerted on the North Carolina election next month. Hay telegraphed President Lincoln at 9 A.M. on July 16 and conveyed that Greeley was perturbed about the nature of the safe conduct for the Confederate negotiators: “Arrived this morning at 6 a m and delivered your letter few minutes after. Although he thinks some one less known would create less excitement and be less embarrassed by public curiosity, still he will start immediately if he can have an absolute safe conduct for four persons to be named by him Your letter he does not think will guard them from arrest and with only those letter he would have to explain the whole matter to any officer who might choose to hinder them. If this meets with your approbation I can write the order in your name as A. A. G. or you can sent it by mail.”85 Hay wrote out the safe conduct and returned to Washington. It was embarrassing for the Tribune editor, according to biographer Harlan Hoyt Horner. “Greeley wriggled on the hook. He proposed to bring Jewett into the conference, but Major Hay declined to have anything to do with Jewett; and Greeley, duly delegated by the President of the United States, balked and refused to cross the river to the Clifton House on the Canadian side unless Major Hay would go with him and himself deliver Lincoln’s message to the Confederate emissaries. 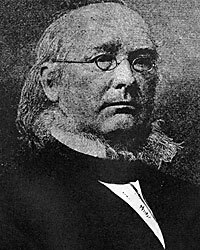 May Hay agreed, and they were met at the Clifton House by Sanders, who was described by Hay as ‘a seedy-looking Rebel, with grizzled whiskers and a favor of old clo’.” Sanders conducted them to Professor Holcombe’s room where they found him ‘breakfasting or lunching.’ Hay described Holcombe as a ‘tall, solemn, spare, false-looking man, with false teeth, false eyes, and false hair.’ The note was duly delivered, and Hay informed Holcombe that he would be the bearer of any message Holcombe and his associates might wish to send to Washington. Clay was absent, and nothing was said about Thompson. Holcombe said he could get in touch with Clay be telegraph and would make some response to the note the next day. The interview was brief. 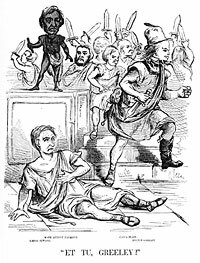 As they parted, Holcombe remarked that he had ‘wanted old Bennett to come up, but he was afraid to come.’ Greeley replied: ‘I expect to be blackguarded for what I have done, and I am not allowed to explain. But all I have done has been done under instructions. '”90 Anxious to end his embarrassing mission, Greeley quickly left for New York City. William Harlan Hale wrote that Greeley’s “own plan had been to bring the ‘commissioners’ to Washington without mentioning terms at all to them, and to involve them deeply in negotiations before revealing any. He appears, moreover, to have suggested to them at the border that no terms had been fixed. He had tried to play his game shrewdly — too shrewdly, it now turned out. Lincoln had outplayed him. The President’s barbed message would obviously have the effect of discouraging any talks at all — and it would leave Greeley standing, as a discredited intermediary, at the Falls”92 The non-talks collapsed. I fear that my chance for usefulness has passed. I know that nine-tenths of the whole American people, North and South, are anxious for peace — peace on almost any terms — and utterly sick of human slaughter and devastation. I know that, to the general eye, it now seems that the rebels are anxious to negotiate and that we repulse their advances. I know that if this impression be not removed we shall be beaten out of sight next November. I firmly believe that, were the election to take place tomorrow, the Democratic majority in this State and Pennsylvania would amount to 100,000, and that we should lose Connecticut also. Now if the Rebellion can be crushed before November it will do to go on; if not, we are rushing on certain ruin. What, then can I do in Washington? Your trusted advisers all think that I ought to go to Fort Lafayette for what I have done already. Seward wanted me sent there for my brief conference with M. [Henri] Mercier. The cry has steadily been, No truce! No armistice! No negotiation! No mediation! Nothing but surrender at discretion! I never heard of such fatuity before. There is nothing like it in history. It must result in disaster, or all experience is delusive. Now I do not know that a tolerable peace could be had, but I believe it might have been last month; and, at all events, I know that an honest, sincere effort for it would have done us immense good. And I think no Government fighting a rebellion should ever close it ears to any proposition the rebels may make. I saw nothing of Mr. Baylor’s papers, and did not seek to know his propositions. These may be of consequence; but they were not essential to my view of the matter. What I absorbingly desire is, that the Government shall offer to the revolted States conditions which they ought to accept, which the civilized world will approve, and which will tend to develope [sic] and embolden whatever Union feeling may be latent among them. It seems to me essential that the odium of continuing this horrible War shall be thrown on those who so wantonly commenced it. I perceive, but do not greatly value, the awkwardness of negociating with the Confederate organization which we are fighting to break down, and am very glad, for the sake of those who think more of it than I do, to avoid it. Mr. Baylor’s mission, however authorized, unquestionably affords an fair opportunity for appealing to the better disposed people of the South to end this wholesale carnage. He may be disavowed, [denounced? ], execrated; but whatever terms may be agreed on between you and him will be diffused throughout the South, and will open the eyes of thousands to the desirability and the feasibility of Peace. Above all let nothing be said or done which can touch the pride of the Southrons. They have fought splendidly, and should be treated magnanimously. Albert Shaw, Abraham Lincoln: The Year of His Election, Volume II, p. 92. Gideon Welles, Diary of Gideon Welles, p. 104 (August 13, 1864). Alexander K. McClure, Abraham Lincoln and Men of War-Times, p. 312. Charles J. Rosebault, When Dana Was the Sun: A Story of Personal Journalism, p. 50-51. Janet E. Steele, The Sun Shines for All: Journalism and Ideology in the Life of Charles A. Dana, p. 29. James M. Perry, The Bohemian Brigade, p. 45. 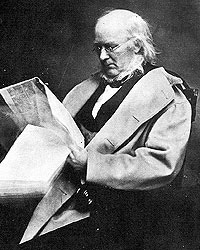 Jeter Allen Isely, Horace Greeley and the Republican Party, 1863-1861: A Study of the New York Tribune, p. 4. May D. Russell Young, editor, Men and Memories: Personal Reminiscences by John Russell Young, p. 112. Don C. Seitz, Horace Greeley: Founder of the New York Tribune, p. 26-27. William Harlan Hale, Horace Greeley: Voice of the People, p. v.
Nathaniel Wright Stephenson, Lincoln, p. 110. Don C. Seitz, Horace: Greeley: Founder of the New York Tribune, p. 219. Jeter Allen Iseley, Horace Greeley and the Republican Party, 1863-1861: A Study of the New York Tribune, p. 15. Horace Greeley, Recollections of a Busy Life, p. 315. Donn Piatt, Memories of the Men Who Saved the Union, p. 151. Jeter Allen Isely, Horace Greeley and the Republican Party, 1863-1861: A Study of the New York Tribune, p. 166 (Letter from Horace Greeley to Margaret Allen, January 6, 1860). Jeter Allen Isely, Horace Greeley and the Republican Party, 1863-1861: A Study of the New York Tribune, p. 273. Chester L. Barrows, William M. Evarts: Lawyer, Diplomat, Statesman, p. 92. Jeter Allen Isely, Horace Greeley and the Republican Party, 1863-1861: A Study of the New York Tribune, p. 285-286. 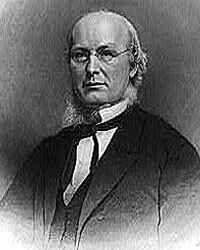 Sidney David Brummer, Political History of New York State During the Period of the Civil War, p. 64. William Harlan Hale, Horace Greeley: Voice of the People, p. 203. William Harlan Hale, Horace Greeley: Voice of the People, p. 205. Jeter Allen Isely, Horace Greeley and the Republican Party, 1863-1861: A Study of the New York Tribune, p. 293. Jeter Allen Isely, Horace Greeley and the Republican Party, 1863-1861: A Study of the New York Tribune, p. 296. Don C. Seitz, Horace: Greeley: Founder of the New York Tribune, p. 186. Donald Barr Chidsey, The Gentleman from New York: A Life of Roscoe Conkling, p. 25. William Harlan Hale, Horace Greeley: Voice of the People, p. 237. Thurlow Weed Barnes, editor, Memoir of Thurlow Weed, Volume II, p. 323. Roy P. Basler, editor, The Collected Works of Abraham Lincoln, Volume IV, p. 185 (Letter to Thurlow Weed, February 4, 1861). Chester L. Barrows, William M. Evarts: Lawyer, Diplomat, Statesman, p. 99. Don C. Seitz, Horace: Greeley: Founder of the New York Tribune, p. 187. Sidney David Brummer, Political History of New York State During the Period of the Civil War, p. 135. Michael Burlingame, editor, Lincoln’s Journalist: John Hay’s Anonymous Writings for the Press,1860-1864, p. 32. Alexander K. McClure, Abraham Lincoln and Men of War-Times, p. 316. Ralph R. Fahrney, Horace Greeley and the Tribune in the Civil War, p. 43. Ralph R. Fahrney, Horace Greeley and the Tribune in the Civil War, p. 59. Jeter Allen Isely, Horace Greeley and the Republican Party, 1863-1861: A Study of the New York Tribune, p. 307. Jeter Allen Isely, Horace Greeley and the Republican Party, 1863-1861: A Study of the New York Tribune, p. 312. Jeter Allen Isely, Horace Greeley and the Republican Party, 1863-1861: A Study of the New York Tribune, p. 323. Jeter Allen Isely, Horace Greeley and the Republican Party, 1863-1861: A Study of the New York Tribune, p. 329 (New York Tribune, March 5, 1861). Ralph R. Fahrney, Horace Greeley and the Tribune in the Civil War, p. 72. Harlan Hoyt Horner, Lincoln and Greeley, p. 106. Ralph R. Fahrney, Horace Greeley and the Tribune in the Civil War, p. 81. Ralph R. Fahrney, Horace Greeley and the Tribune in the Civil War, p. 83-84. Ralph R. Fahrney, Horace Greeley and the Tribune in the Civil War, p. 85. Harlan Hoyt Horner, Lincoln and Greeley, p. 229. Ralph R. Fahrney, Horace Greeley and the Tribune in the Civil War, p. 88 (New York Tribune, July 26, 1861). Don C. Seitz, Horace Greeley: Founder of the New York Tribune, p. 235. Abraham Lincoln Papers at the Library of Congress. Transcribed and Annotated by the Lincoln Studies Center, Knox College. Galesburg, Illinois. (Letter from Horace Greeley to Abraham Lincoln, July 29, 1861). Alexander K. McClure, Abraham Lincoln and Men of War-Times, p. 319. Don C. Seitz, Horace: Greeley: Founder of the New York Tribune, p. 224. John Waugh, Reelecting Lincoln, p. 134. Ralph R. Fahrney, Horace Greeley and the Tribune in the Civil War, p. 4. Sidney David Brummer, Political History of New York State During the Period of the Civil War, p. 286-287 (New York Tribune, January 22, 1863). Sidney David Brummer, Political History of New York State During the Period of the Civil War, p. 291. Ralph R. Fahrney, Horace Greeley and the Tribune in the Civil War, p. 140-141. Glyndon Van Deusen, William Henry Seward, p. 362. Sidney David Brummer, Political History of New York State During the Period of the Civil War, p. 376-377 (New York Tribune, February 23, 1864). Herbert Mitgang, editor, Lincoln as They Saw Him, p. 292 (New York Tribune, March 8, 1862). Michael Burlingame, editor, With Lincoln in the White House: Letters, Memoranda, and Other Writings of John G. Nicolay, 1860-1865, p. 134 (Letter to John Hay. April 1, 1864). Carl Sandburg, Abraham Lincoln: The War Years, Volume III, . William Frank Zornow, Lincoln & the Party Divided, p. 59. David Donald, editor, Inside Lincoln’s Cabinet: The Civil War Diaries of Salmon P. Chase, p. 208 (October 2, 1863). Howard K. Beale, The Diary of Edward Bates, p. 325-326 (December 26, 1863). Ernest a. McKay, The City War and New York City, p. 235. David Donald, editor, Inside Lincoln’s Cabinet: The Civil War Diaries of Salmon P. Chase, p. 127 (October 2, 1863). Jeter Allen Isely, Horace Greeley and the Republican Party, 1863-1861: A Study of the New York Tribune, p. 315. Horace Greeley, Recollections of a Busy Life, p. 409. James M. Trietsch, The Printer and the Prince, p. 261. William Alexander Linn, Horace Greeley, p. 202. Chauncey M. Depew, My Memories of Eighty Years, p. 61-62. Ralph R. Fahrney, Horace Greeley and the Tribune in the Civil War, p. 155. William Harlan Hale, Horace Greeley: Voice of the People, p. 286. Ralph R. Fahrney, Horace Greeley and the Tribune in the Civil War, p. 158-159. Roy P. Basler, editor, The Collected Works of Abraham Lincoln, Volume VII, p. 435 (Letter from Horace Greeley to Abraham Lincoln, July 9. 1864). Roy P. Basler, editor, The Collected Works of Abraham Lincoln, Volume VII, p. 435 (Letter to Horace Greeley, July 9. 1864). William Alexander Linn, Horace Greeley, p. 204. Harlan Hoyt Horner, Lincoln and Greeley, p. 300-301. 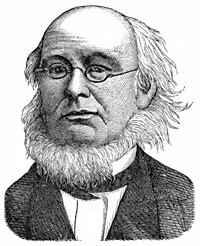 William Harlan Hale, Horace Greeley: Voice of the People, p. 282-284. Roy P. Basler, editor, The Collected Works of Abraham Lincoln, Volume VII, p. 440 (Letter to Horace Greeley, July 15, 1864). Roy P. Basler, editor, The Collected Works of Abraham Lincoln, Volume VII, p. 443 (Letter from John Hay to Abraham Lincoln, July 16, 1864). William Harlan Hale, Horace Greeley: Voice of the People, p. 283. Henry Jarvis Raymond, Lincoln, His Life and Times: Being the Life and Public Services of Abraham Lincoln, II, p. 577 (July 17, 1864). Ida M. Tarbell, The Life of Abraham Lincoln, Volume II, p. 197. Reinhard H. Luthin, The Real Abraham Lincoln, p. 526-527. Harlan Hoyt Horner, Lincoln and Greeley, p. 309-310. Roy P. Basler, editor, The Collected Works of Abraham Lincoln, Volume VII, p. 451 (July 18, 1864). Chauncey M. Depew, My Memories of Eighty Years, p. 62-63. Gideon Welles, Diary of Gideon Welles, Volume II, p. 83 (July 22, 1864). Alexander K. McClure, Abraham Lincoln and Men of War-Times, p. 323. Don C. Seitz, Horace Greeley: Founder of the New York Tribune, p. 263-264. Michael Burlingame, editor, Lincoln Observed: Civil War Dispatches of Noah Brooks, p. 181. Abraham Lincoln Papers at the Library of Congress. Transcribed and Annotated by the Lincoln Studies Center, Knox College. Galesburg, Illinois. (Letter from Abraham Lincoln to Henry J. Raymond, August 15, 1864). Gideon Welles, Diary of Gideon Welles, Volume II, p. 94 (August 6, 1864). Roy P. Basler, editor, The Collected Works of Abraham Lincoln, Volume VII, p. 482 (Letter to Horace Greeley, August 6, 1864). William Harlan Hale, Horace Greeley: Voice of the People, p. 285. “Greeley and Lincoln”, from Robert Todd Lincoln collection, p. 319-320 (Letter from Horace Greeley to Abraham Lincoln, August 9, 1864). Ralph R. Fahrney, Horace Greeley and the Tribune in the Civil War, p. 167. Gideon Welles, Diary of Gideon Welles, Volume II, p. 99-100 (August 9, 1864). Chauncey M. Depew, My Memories of Eighty Years, p. 63. Gideon Welles, Diary of Gideon Welles, Volume II, p. 111-113 (August 19, 1864). Carl Sandburg, Abraham Lincoln: The War Years, Volume IV, p. 255. William Harlan Hale, Horace Greeley: Voice of the People, p. 284. Ida M. Tarbell, The Life of Abraham Lincoln, Volume II, p. 198. May D. Russell Young, editor, Men and Memories: Personal Reminiscences by John Russell Young, p. 51. Michael Burlingame, editor, With Lincoln in the White House: Letters, Memoranda, and Other Writings of John G. Nicolay, 1860-1865, p. 155 (Letter from John G. Nicolay to Abraham Lincoln, August 30, 1864). Albert Shaw, Abraham Lincoln: The Year of His Election, Volume II, p. 91-92. Abraham Lincoln Papers at the Library of Congress. Transcribed and Annotated by the Lincoln Studies Center, Knox College. Galesburg, Illinois. (Letter from Horace Greeley to John G. Nicolay, August 21, 1864). Abraham Lincoln Papers at the Library of Congress. Transcribed and Annotated by the Lincoln Studies Center, Knox College. Galesburg, Illinois. (Letter from Horace Greeley to Abraham Lincoln, August 29, 1864).